Apps on your TV - What are the possibilities? Apps on your TV – What are the possibilities? 2011 looks set to be the year that Internet-connected TVs become truly mainstream. There’s a lot more potential here than just downloading movies and watching Hulu on a big screen, though. Just like they changed the way we use our phones, apps could transform how interact with our TVs forever. One of the benefits of platforms like Google TV and the iOS-powered Apple TV is that they open up the possibility of apps that could allow us to interact with, and even influence the shows we watch in completely new ways. Here are just some of the apps that could potentially emerge in the next couple of years. When a big TV show is on air, you can be sure that legions of Twitter users are uniting around a hashtag to comment on the action. For TV talent shows and sporting events alike, the ‘Twitter backchannel’ has become an important part of the experience. Today’s Twitter apps for TV are very basic, allowing you to read tweets and post your own, but there’s no interaction with the show you’re watching. 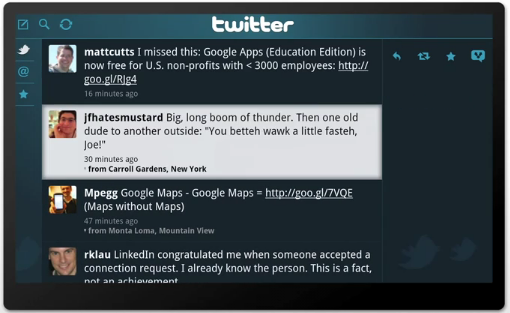 Imagine a Twitter app that knows what you’re watching and only shows current tweets about it. You’d be able to participate yourself directly from the app, tying the ‘online peanut gallery’ idea directly into you viewing. For people who find the Twitter backchannel as entertaining as the show itself, that would be covered even if you were watching the show at a later date. You’d be able to view the Twitter commentary replayed as it happened at the original time of transmission. With the TV at the heart of many families’ time spent together, it makes sense that the TV could be a place to share the latest news from far-away friends and relatives. Imagine Grandma watching the news in Oklahoma when a notice pops up that you’ve shared photos with her from your trip to Europe. She browses through them on-screen and records a video message to you using her TV’s built it camera, wishing you well for the journey home. You then receive her message on your mobile phone in the Facebook mobile app that allows you to send text messages, pictures and video to the family TV whenever you choose. This kind of facility is already available via Flickr, YouTube, Facebook and the like.they’d However, the concept needs streamlining and carefully redesigning to make true sense in the living room. 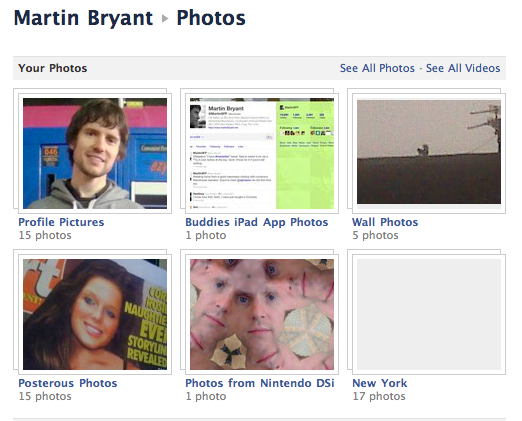 Let’s face it, if anyone’s going to get this right, it will probably be the king of social, Facebook. Services like Miso and Get Glue allow you to share what you’re watching on TV with your friends in real time. It’s a great way of getting viewing recommendations based on what other people are watching. 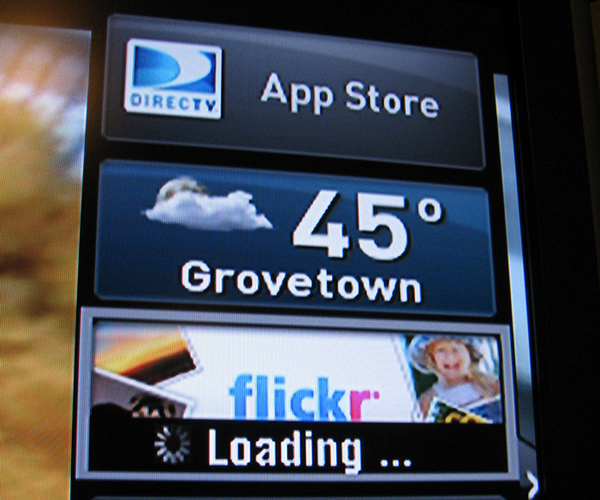 However, because these apps aren’t integrated into your TV they’re a pain to use. You have to actively pick up your phone and type in the show that you’re watching. If you could simply have a Miso-type service running on your TV all day as you watch you’d be able to easily share what you watching and when you’re stuck for what to watch next, just bring up the app for some inspiration from your friends. Perfect! You can see the beginnings of this in Facebook’s partnership with TV guide website Clicker. When you visit Clicker.com and link up your Facebook account, the site recommends shows to you based on what your friends have ‘Liked’ on Facebook. The more you and your friends click the ‘Like’ button on content around the web related to TV shows, the better the recommendations. Imagine this idea extended from Web pages to your actual TV and you can see how powerful social recommendations could be in helping you choose what to watch next. Imagine if TV producers could enhance their shows with the kinds of ‘Extras’ you get on a DVD. A tap of a button while you watch could access Director and cast commentaries, storyboards, pop-up trivia notes and could all be accessible, providing extra value to viewers. Sports events could be enhanced with interactive stats packages, showing how players and teams are performing. The possibilities are endless. We all have those “What’s she been in before?” and “What’s the song in the background?” moments when watching TV. While we can easily look these up online, integrated apps will make things even simpler. An IMDB app will know exactly what you’re watching so a full cast list with biographies and pictures will instantly be available on screen for you. 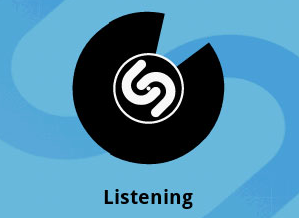 Meanwhile, if you’re not sure what a song is, there’d be no need to hold your phone up to the screen so that Shazam could analyse it, the Shazam app in your TV would be able to tell you in seconds, with a link to buy and download the song if you choose there and then. At the In The City music conference this year Shazam confirmed that such an idea was in the works. Back when Apple’s iPhone App Store first launched, novelty apps were the first to chime with the public at large. Fart apps and ‘Pretend you’re drinking a glass of beer’ apps became overnight hits as people got to grips with a whole new way to think of their phones. Could the same happen with TVs? 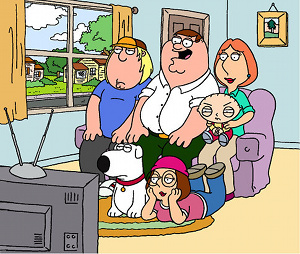 Imagine “Turn the current show into a cartoon” filters, a magnifying glass app that gives people on-screen big heads, a ‘Put Homer Simpson into every show’ app… oh, and a ‘Family Guy’ soundboard to play with during the news – someone’s bound to do that. , the possibilities are endless. Read more about the future potential of TV apps here and here. This post was brought to you by Samsung Electronics America. The views expressed here are solely those of the author and do not necessarily represent the views of Samsung Electronics or its partners. The amount and types of Apps available on Samsung Smart TVs vary depending on TV Technology and Model. Make sure to check www.samsung.com/apps to see a complete list of apps available on Samsung Smart TVs and which apps are available on specific models.